Edith Scott, age 85, of Aurora, passed away Monday, January 8, 2018, at the Westfield Quality Care in Aurora. Funeral Services will be held at 10:30 A.M., Saturday, January 20th at Evangelical Covenant Church. Rev. Karl Larson will officiate. Interment will be in the Aurora Cemetery. Visitation will be from 5 - 7 P.M. Friday at Higby-McQuiston Mortuary. Memorials may be made in care of the family to designate at a later date. Condolences may be e-mailed to the family through the mortuary website at www.higbymortuary.com. Edith LaVonne Scott, the daughter of Carlton and Miriam (Hagelin) Kemper, was born at Pomona, California on December 24, 1932 and passed away at Aurora, Nebraska on January 8, 2018, at the age of 85. They moved to Aurora when Edith was a young girl. Edith attended school in Aurora and graduated in 1950 as salutatorian of her class. She attended Bishop Clarkson School of Nursing in Omaha and received her R.N. degree. She worked at Immanuel Hospital. While there she met Richard Lee Sullivan. They married on August 1, 1954. Two children, Richard and Kimberly, were born to this union. Mr. Sullivan passed away on November 24, 1956. Edith and her children moved back to Aurora. She met Arthur Lee Scott. They were married on July 25, 1958. A son, David, was born to this union. Edith worked the 3 – 11 p.m. shift at Aurora Memorial Hospital. She worked her way up to the charge nurse. She also worked as the Infection Control/Medicaid Nurse until she retired. 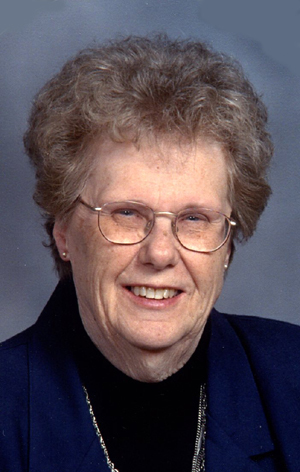 Edith was a member of Aurora Evangelical Covenant Church and served on the women’s board, teaching Pathfinders and Trailblazers. She also served a few summers as camp nurse at Covenant Cedars. Edith enjoyed bowling, reading and gathering with the “Golden Oldies” group of former colleagues from Aurora Memorial Hospital. Edith was preceded in death by her parents; her sister, Judith; her first husband, Richard Sullivan and other relatives and friends. Those left to cherish her memory are her husband, Lee of Aurora; two sons, Rich (Deb) Scott of Hastings and David (Kirsten) Scott of Verona, WI; daughter, Kimberly (Brian) Crabtree of Aurora; 6 grandchildren, Ben (Jenna) Crabtree of Aurora, Heather (Steven) Tibbles of The Colony, Texas, Drew (Sara) Scott and Emma Scott both of Hastings, Colin Scott of Minneapolis, MN and Peter Scott of Verona, WI; 6 great-grandchildren, Ayden, Ethan and Owen Scott of Hastings, Ella and Leila Tibbles of The Colony, TX and Kaiya Crabtree of Aurora.